Model 1902 Military Serial Number 39721 issued to Frank H. Lowrey carried on the Siberian Expedition from 1917 - 1920 - In 1916, Frank H. Lowrey was a railroad engineer in Sioux City, IA and responded to a request by US President Woodrow Wilson to run the Trans-Siberian Railroad after a new government was formed in Russia. Control of the railroad meant control of the only major logistics and communication line in the nation. It also meant access to massive stockpiles of munitions, food, fuel, coal, and other supplies. Control of the Trans-Siberian Railroad was critical to the support of the new pro-western Provisional Government. The United States wanted to support the new government. Frank Lowrey, along with several hundred prominent railroad operators and engineers were selected to form the Russian Railway Service Corps. All the men were given Army commissions for the essentially non-military project, but were not really considered part of the regular Army. 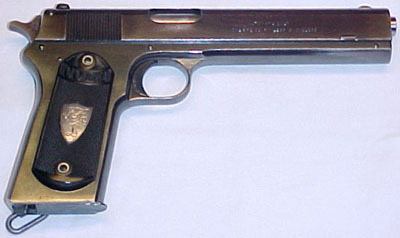 He was issued the 1902 Colt as his service firearm while running the Trans-Siberian Railroad. 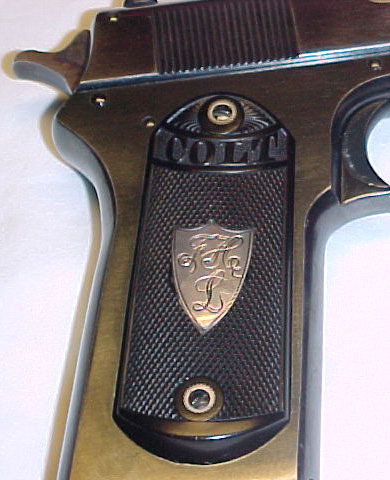 Pistol is a standard commercial model with modified Colt hard rubber grips inlaid with the owner's initials on the right grip and "SIBERIA 1917-20" on the left grip. 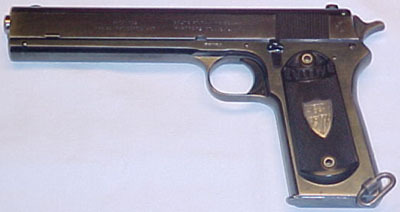 These grips are most frequently encountered on Model 1911 pistols that were carried in Siberia. 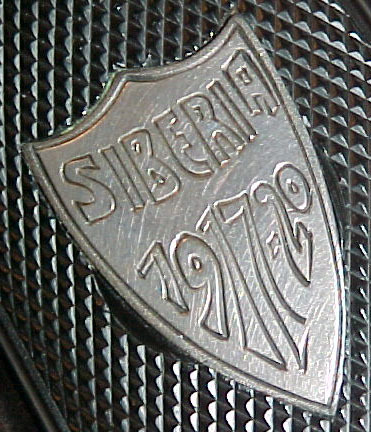 Close-up of Siberia 1917-20 inlaid plaque. 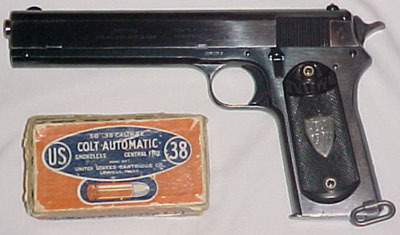 Pistol pictured with a period box of shells. Right side. Plaque has owner's initials "F.H.L"